Rory Kennedy's excellent documentary Last Days in Vietnam arrives in theaters at an opportune time. Refugees flee Vietnam in Rory Kennedy's documentary Last Days in Vietnam. Rory Kennedy's excellent documentary Last Days in Vietnam arrives in theaters at an opportune time — the US and its allies are considering another ground war against an insurgency, this time in Iraq and Syria. According to figures from the US National Archives, more than 58,000 American soldiers died in Vietnam, while total Vietnamese casualties on both sides of what some now call the Second Indochina War are estimated as high as 1.1 million, both military and civilian. That's something to keep in perspective as we watch that war wind down onscreen. Kennedy's film has splendid period footage and relatively little politics. Her focus is on Saigon in the spring of 1975, as the North Vietnamese took advantage of the Paris Peace Accords ceasefire and the massive withdrawal of American troops to stage their final assault on the South Vietnamese capital. 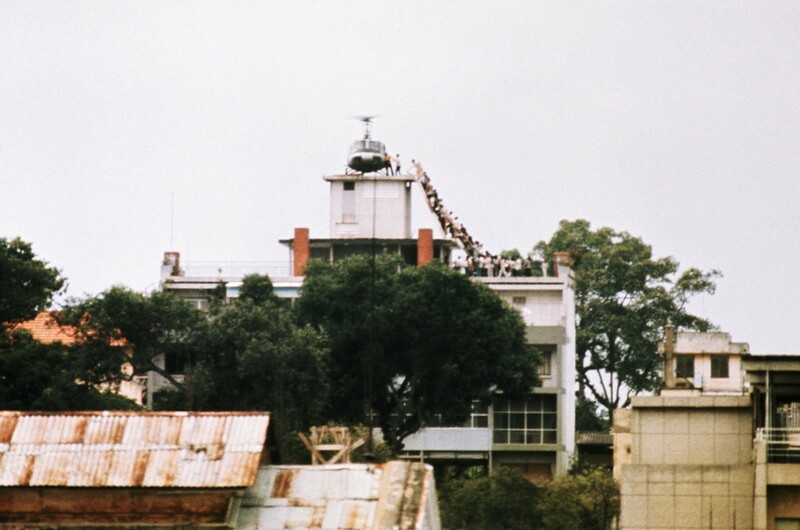 Panicked refugees streamed into Saigon, and for the 5,000-7,000 US State Department personnel, CIA, contractors, and armed forces still in-country, the question became: "Who goes and who gets left behind?" The doc straightens out a few misconceptions. 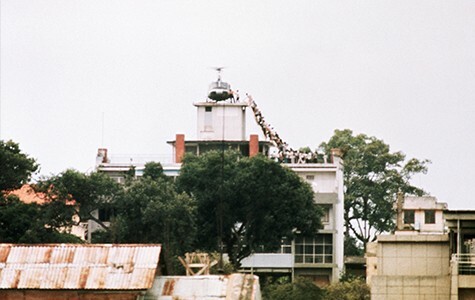 The emblematic news photo of refugees climbing a ladder to a helicopter supposedly on the roof of the American Embassy didn't happen at the embassy, as was widely reported, but at the apartment building of the CIA station chief in Saigon's Cholon district. And yet the anxiety was the same. Any South Vietnamese who worked for the Americans, down to tailors and cooks, feared death at the hands of the victors. The talking heads are impressive. Producer-director Kennedy, daughter of Ethel and Robert F. Kennedy, gathers together everyone from hospital-bomber Henry Kissinger (then the US Secretary of State) to Marine embassy guards to South Vietnamese officers to tell the story. Individual Americans went over and above the call of duty to help save Vietnamese lives. Whether we learn anything from this film is up to us. Last Days in Vietnam is not showing in any theaters in the area.